Back in 2015, we wrote about a really dumb trademark dispute between a financial services firm and two Major League Baseball teams, the Washington Nationals and Chicago Cubs, over the letter "W." This insanity went on for years, with the MLB teams claiming there would be some sort of customer confusion in the public between professional baseball teams and a company that provided money management. Well, in case you thought that this was insanity of the one-off variety, both baseball clubs are back at it with an opposition for the trademark of Starwood Hotels and Resorts, whose logo is, you guessed it, a "W."
Starwood claims to have started using “W” in connection with the aforementioned services as early as January 2005. The Nationals and Cubs could care less. They say that if Starwood gets its wish of registration, then Starwood will be given permission to confuse people into thinking that its services are in some way approved, endorsed or sponsored by the Nationals and/or Cubs. This is the type of situation that calls for people to recognize the subtle differences and to keep their eye on the ball for trademark law, which is customer confusion. Yes, all three trademarks in question are versions of the letter "W." Yes, all three entities in question are in some segment of the entertainment industry, two being baseball teams and the third wanting to use its trademark for music concerts and performances. That, however, doesn't equate to Starwood's use somehow resulting in public confusion. Just to be clear, this is one of the many iterations of hotel logo we're talking about. Really makes you think of the Cubs and/or Nationals, right? And, with just a brief moment of thought put into this, it becomes clear that fear of confusion makes no sense. A member of the public is going to go to a Starwood property to see a concert, see the "W" logo, and... what? Think the Cubs are affiliated with the concert? Or maybe the Nationals? Both? These baseball teams are somehow putting on concerts at Starwood properties? Fortunately, the general consensus appears to be that the MLB teams aren't going to prevail. This seems like a stretch of a case for the Washington Nationals and Chicago Cubs, since Starwood is very widely known for its “W” brand of hotels and no reasonable person is confusing said hotel brand with the baseball clubs. 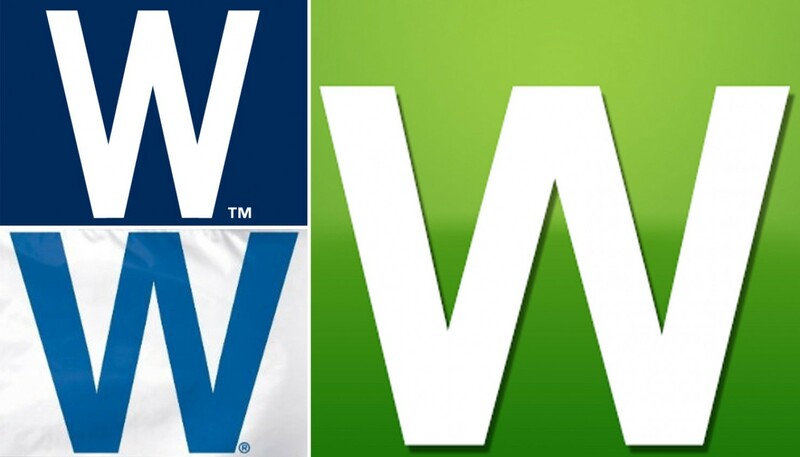 Further, Starwood already owns trademark registrations for the “W” brand, including one in relation to providing hotel services, food and beverage and bar and cocktail lounge services. Unless the Cubs and Nationals are also going to attempt invalidating those registrations, this new opposition seems half-hearted and destined to fail.